Roy Hodgson recognises Wilfried Zaha's fine form could lead to interest during the January transfer window. 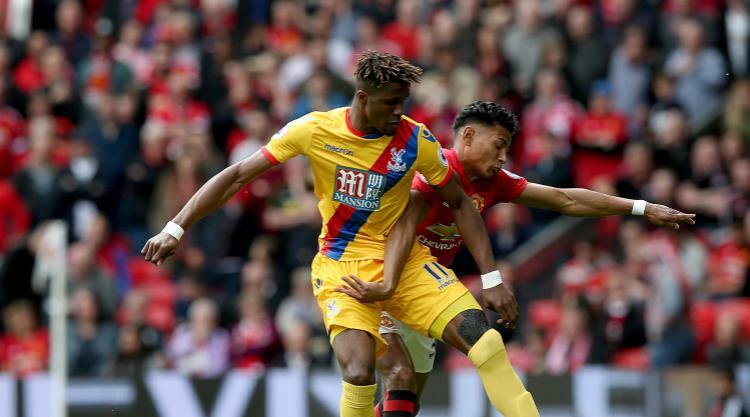 Since his return from injury, which had contributed to Palace's struggles under Frank de Boer before then, Zaha has inspired the improvement under Hodgson and that gives the manager confidence they will survive in the Premier League. He hopes to strengthen his squad in January, by when a promising run of fixtures could have led to them vastly improving their prospects, but acknowledges that even if they have, interest in his most influential figure is likely with so many rival clubs having so much money to spend. "You can't ever dismiss interest in any of your players," said the 70-year-old, whose team on Saturday host Stoke. "Wilf Zaha is an obvious name, but there are other players that I wouldn't be surprised if there were other clubs interested in, and we have to be prepared for that going into January. "If offers come along for players who are doing well for us and we are not particularly anxious to lose them, then we will have to make decisions on what offers are to be turned down and what could be accepted." Hodgson is confident, however, Palace will regardless retain Ruben Loftus-Cheek. The on-loan Loftus-Cheek, at 21 four years younger than Zaha, has similarly impressed to the point of making his England debut and suggestions parent club Chelsea should recall him. He is again expected to start against Stoke when Chung-yong Lee and Connor Wickham, owing to ankle and knee injuries, are Hodgson's only absentees, but the manager believes Palace are protected against that outcome. "I have a feeling that they have the right to call him back if he is not playing enough games or featuring in enough games, which is a good clause," he said. "If you are loaning out players who you believe in to get playing time, and the clubs aren't using the player, then I think you are entitled to bring them back. "I think that clause exists. That is, I suppose, a risk for us. If we suddenly decide we don't want to use him then he could go back. "But we are enjoying having him with us and using him in our team, so I don't think I have to fear that at this moment in time."